Need an original idea for your next wedding, trade show, fundraiser, birthday party, class reunion, graduation, anniversary party, or event of any kind? 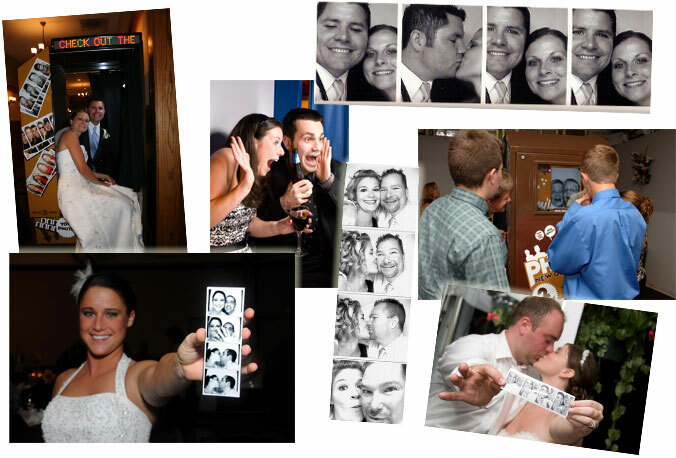 Consider a Freeze Frame Photobooth & Guestbook! Freeze Frame Photobooths combine an "old school" look and feel with "new school" digital photo technology. You will receive a one-of-a-kind, custom-made photo guestbook and your guests will have a blast enjoying the retro Photobooth! In fact, it will be one of the most memorable, fun elements of your event. Just step in, close the curtains, and push the button to create four creative photos which we will use in the custom guestbook.